Meiji Shrine (明治神宮, Meiji Jingū) is a shrine dedicated to the deified spirits of Emperor Meiji and Empress Shoken. 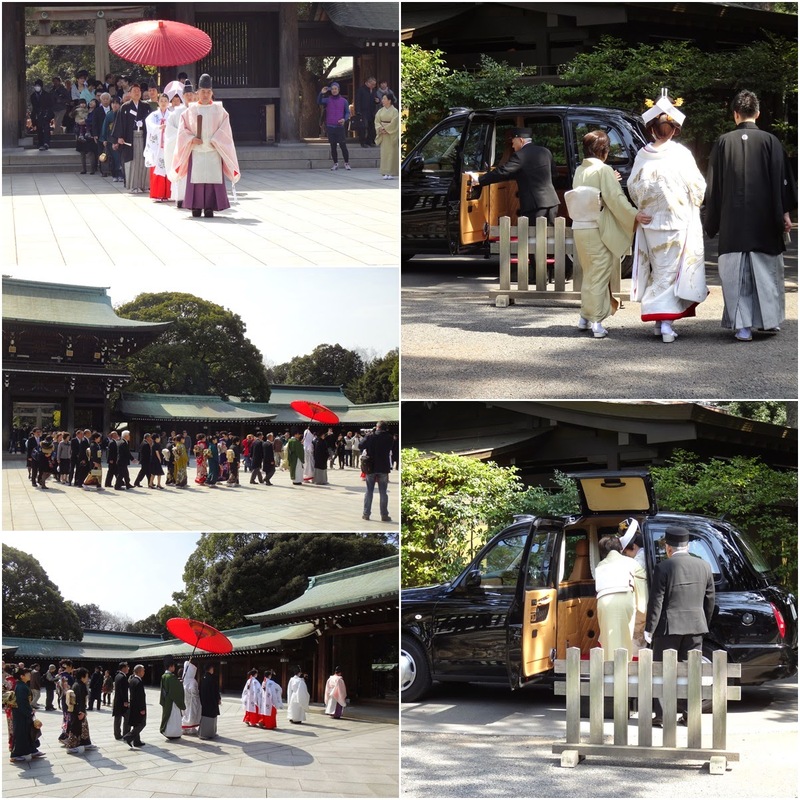 It is the most popular shrines among the Japanese for the offerings and the traditional Shinto wedding ceremonies. 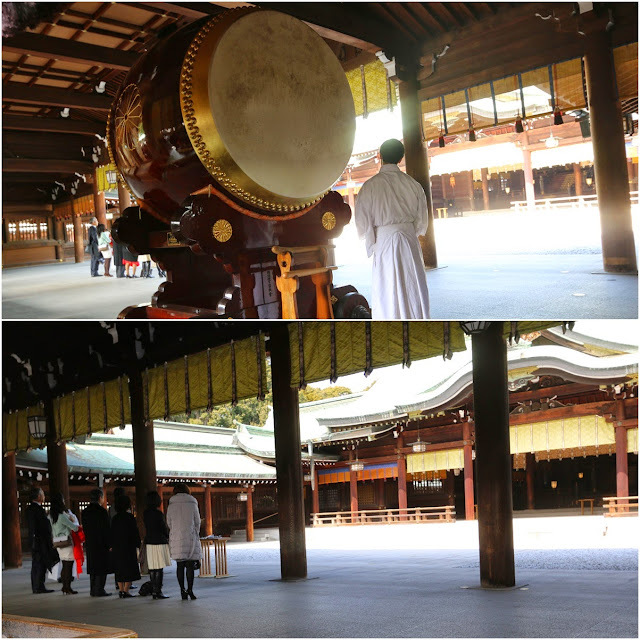 Meiji Shrine is located next to the JR Yamanote's Line at Harajuku Station. 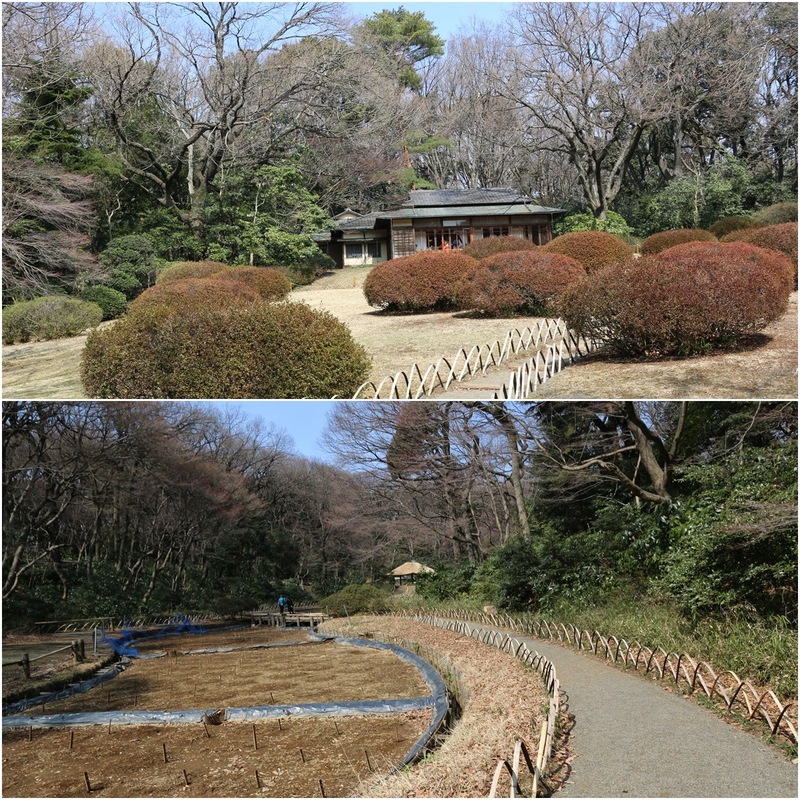 As you walk out of the station and cross the bridge of the railway rails, you will find a huge forested area with a huge wooden torrii gate of Meiji Shrine. 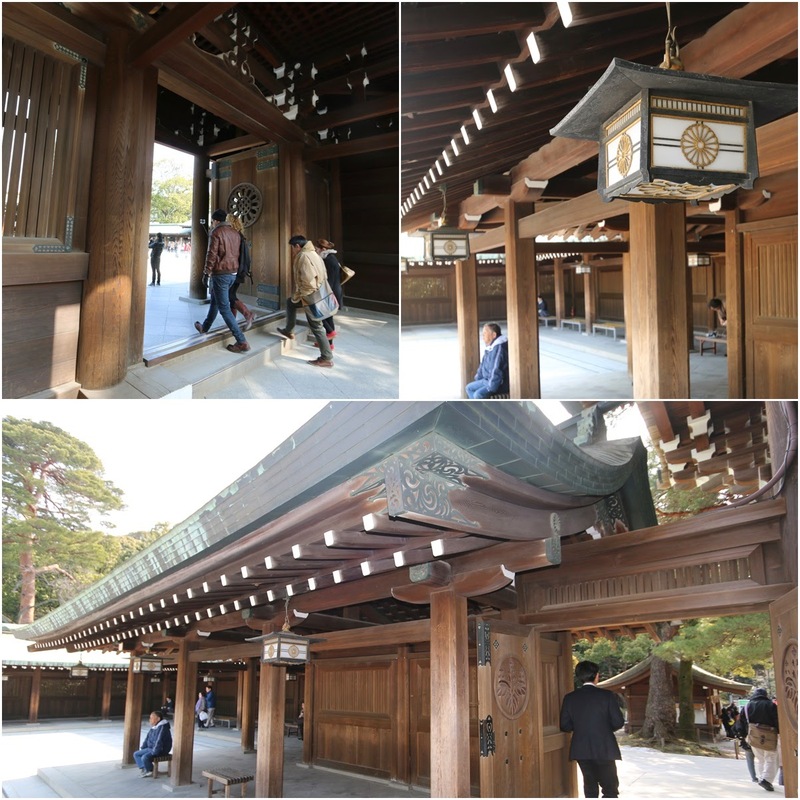 As you walk through the torrii gate of Meiji Shrine, you will feel calm and relaxing while enjoying your stroll and admiring at the trees that are planted along the walking path from the main entrance of the wooden torrii gate to the main complex of the shrine buildings. You will notice that you have arrived the main complex of the shrine buildings as you see another wooden torrii gate and surrounded by Shrine Memorial Hall buildings. 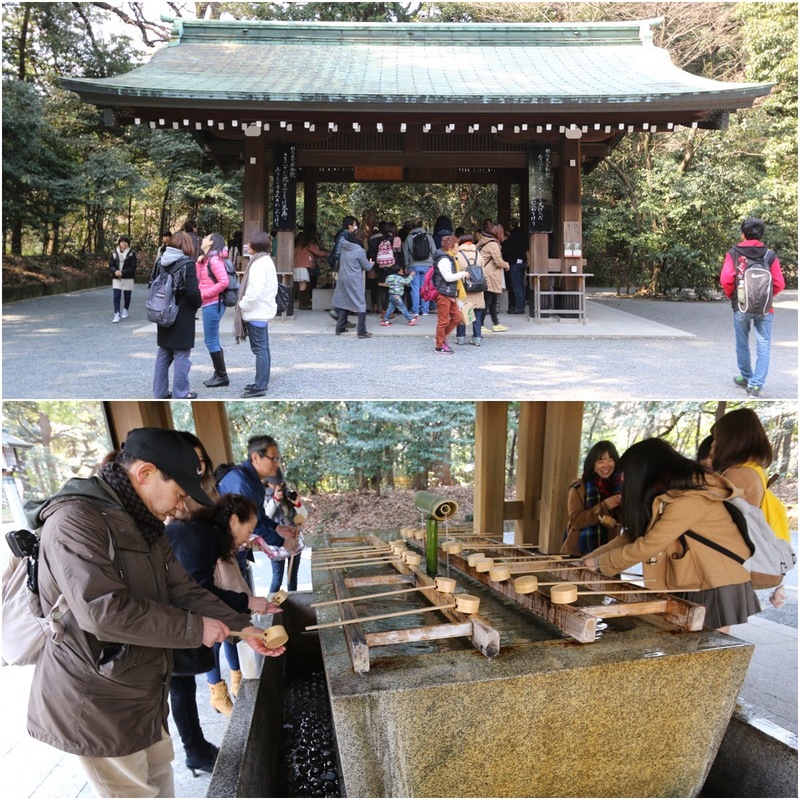 Before you walk into the shrine buildings for offerings, you need to wash your hands and mouth with a wooden spoon at the wooden house before the torrii gate. Japanese believe that this will clean your body and mind by washing your hands and mouth before walking into the shrine. How to make your wish at Japanese Shrine? Firstly, you need to ring the bell and throw your offering (money) into the offering box. 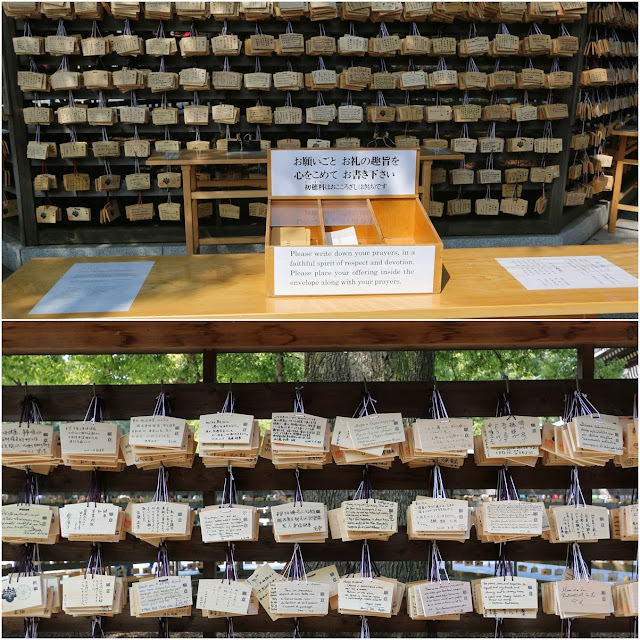 The ringing bell is to notify the God of the Shrine that you want to deliver your wish. Then, bow at 90 degrees two times before make your wish in your mind. Finally make two claps before taking another 90 degrees bow. Station : Yamanote Line at Harajuku Station and walk for a minute by crossing the overhead bride of the railway tracks before reaching the torrii gate of Meiji Shrine.